Disclaimer – This post is sponsored by Canon. All opinions are 100% my own. Less than ten days till we are busting at the seams! Such a short time is left till we are all stuffed to the gills with turkey and dressing and cranberries and mashed potatoes and pumpkin pie! Are you hungry yet? Oh good gravy, I am ready. I have my stretchy pants on (these jeans are a feast favorite!) and my recipes are ready for a Olympic kitchen experience. And while I wait till the big day is here, I thought it would be to make a gratitude photo tree. A gratitude photo tree is a fun way to teach kids about the real meaning of Thanksgiving. With our list in our hand, we went on the computer and picked out pictures that represented each item. As he was seeing the photos, he also wanted to include his babies (that is what he calls his brothers) and other things…like a picture of our house and of a river. Each photo was pasted into a 13×19 document in Photoshop so that I could print out all the pictures at once. I usually just create a blank 13×19 sheet and then copy photos into it as layers and resize each photo (keeping proportions) till it fits. I then make sure it looks okay in the print preview for my Canon PIXMA iP8720. That is the printer that I pull out for crafting print jobs because it is A BOSS. It can literally print a 13×19 page with no borders and full color and clarity. You may have glossed right over that last statement….but what I said was, my Canon printer can print out a 13×19 size sheet. Do you understand the magnitude of that? It’s HUGE. Like bigger than normal sheets of paper. Here is a comparison so you can see the size difference. It can print out SO much more in a single pass. Then I got to work cutting out our tree leaves. 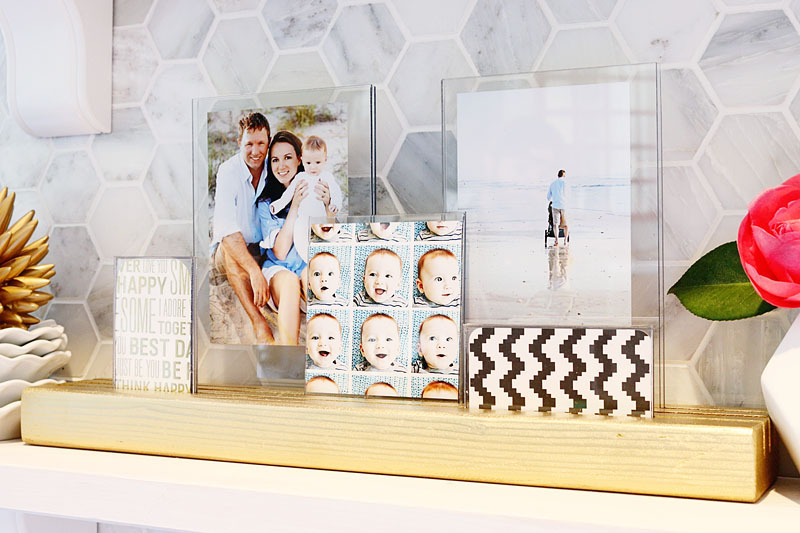 Each photo was trimmed down to a leaf shape and had the things that Will picked out…. 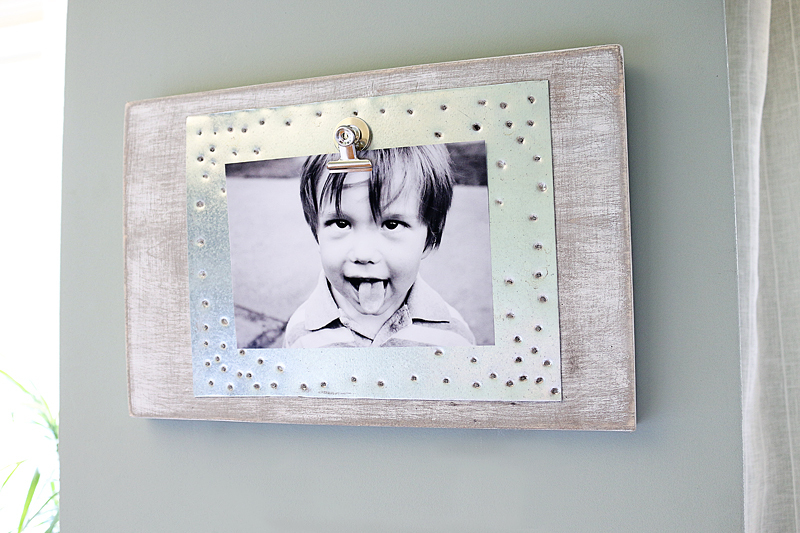 Then I used a hole punch to create a hole in the top of each photo…. I used a little twine to cut lengths about 8 inches long for each photo. Bada boom bada bing! Gratitude photo tree complete! The branch I simply got from outside and stuck it in this gold and white vase and the photos hang so delicately make it feel full and unique. A friend once gave me a piece of wisdom…she said, “You can only fold a young fish” and that stuck with me. It is a word picture for children….meaning that a young child is more easily moldable and open to teaching….and when they get older and bigger, they will resist the instruction we as parents may have for them. Of course there are exceptions to the rule but I think in general, it stresses how so it’s important to teach them valuable life lessons as early as possible. And for our household, I want my boys to be filled with gratitude and love. I want my boys to know how truly privileged they are….that they should be DANG grateful for everything they have…and that an attitude of entitlement has no place in our house. I want them to know that if they aren’t happy, then they aren’t paying attention. And that we are grateful not only for the special things…but also for the everyday, ordinary things. Things that are easily taken for granted. I love a lot of the other Thanksgiving trees out there….but if a photo can speak a thousand words….I think a photo should definitely be on my gratitude branches….because I am literally thankful for THOUSANDS of things. That photo of Max reminds me to be thankful of course for my sweet lovable munchkin but also for the trees and the leaves, the ground he lays on, the crisp air that makes his cheeks rosy and the fact that we have warm cute sweater outfits to cozy him up in. It reminds me of being thankful for the food in his baby belly and the camera that I have to take photos. It even reminds me to be thankful for printers (as cheesy as it sounds, it’s true) because it means I can hang pictures of my loved ones up around the house. SO MANY THINGS. It’s kinda humbling when you think about it. Now off to print a BAZILLION photos to send to my Grandma.